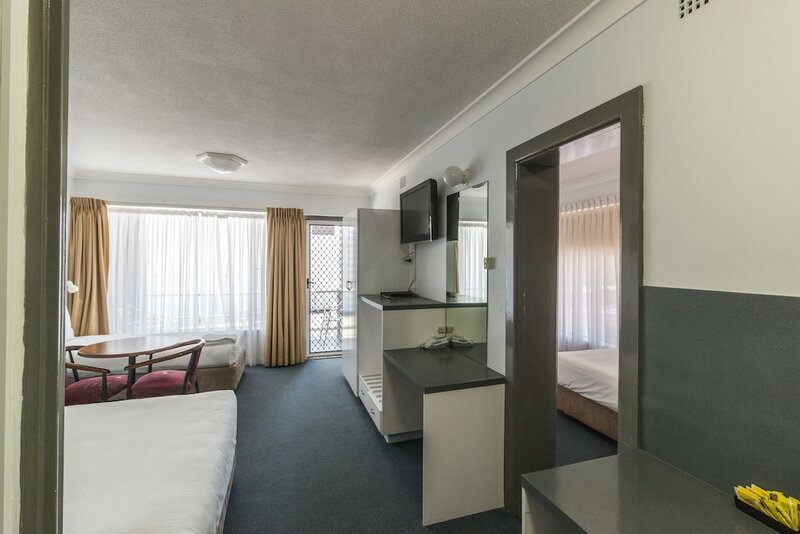 With a stay at Port Aloha Motel in Port Macquarie, you'll be in the business district, within a 15-minute drive of Lighthouse Beach and Port Macquarie Museum. This motel is 0.3 mi (0.4 km) from Port Macquarie Courthouse and 0.3 mi (0.4 km) from Glasshouse Cultural Centre. Make yourself at home in one of the 19 air-conditioned rooms featuring kitchenettes with refrigerators and microwaves. Complimentary wireless Internet access keeps you connected, and cable programming is available for your entertainment. Conveniences include desks and coffee/tea makers, and you can also request rollaway/extra beds (surcharge).